Devesh Juvekar graduated from K C Law College, Mumbai University, in 1995. Devesh Juvekar started his career with M/s Gagrat & Co in 1995 and went on to work with Hariani & Co, Dua Associates, Khaitan & Co and Kalpataru Ltd prior to joining Rajani Associates. He has an experience of twenty years at the Bar in traditional and alternate dispute resolution. He has handled, a wide array of matters such as Commercial Arbitrations, Recovery proceedings, Intellectual Property issues, Conflict of Laws, Product Liability cases, Writ Petitions and General Commercial Litigation. 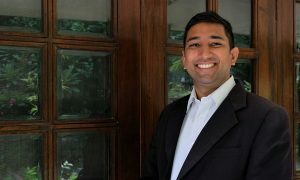 Devesh has appeared as well as briefed Senior Counsels, in numerous fora including at the Supreme Court of India, High Court of Bombay (Original and Appellate Side), various High Courts in India, City Civil Court, Small Causes Court, Sessions Court, Metropolitan Magistrate’s Court, Debt Recovery Tribunal, Company Law Board, Securities Appellate Tribunal and various other tribunals and quasi judicial authorities. I always perceived myself as a social creature first, lawyer next. I believed, and still believe in dealing directly with the person, rather than the facts and figures – it just makes more sense to me. Though my days in law college is a chapter best left unexplored, I do still fondly think back to those stray occasions where I attended classes and enjoyed subjects like contracts and constitutional law. It was a different world for our profession when I was still in law college – a world without seven figure salaries for fresher (articled clerks used to vie for stipends of ninety rupees), or competition among firms for poaching talent. While we didn’t wend our way through law college worrying about internships and letters of recommendation, we had our own worries. For one, it was difficult enough finding a job back then, much less a “paying” job! Even without the scores of technological advances in communication, we made our connections with batch mates and stayed in touch with them during and after law college and those contacts helped. 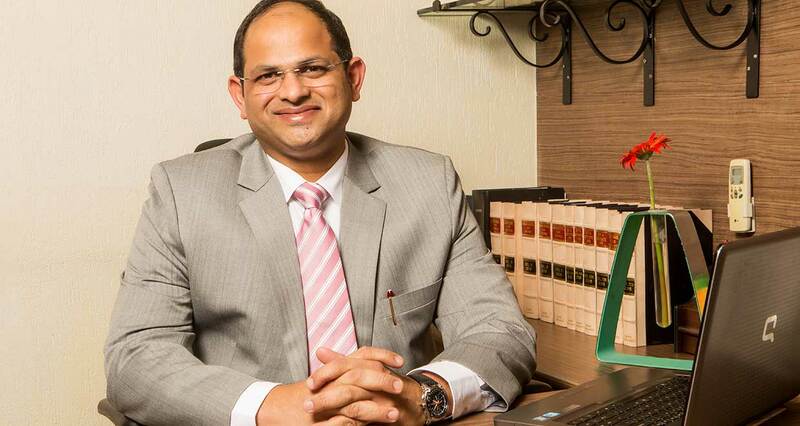 Presently, I am a partner at Rajani Associates, Mumbai based law firm and head its dispute resolution practice. What propelled you to pursue law as a career? In my days as a law student, law as a major was almost taboo – a major reserved for the trouble-makers, chronic flunkers and the aimless. It took a considerable bit of haranguing and begging back home to even get in. But law was something I knew I wanted to do, simply because I did not want to be a run-of-the-mill engineer or doctor or a chartered accountant that everyone else was looking to be. I guess it was more a choice from negation than an active preference, in that sense. What was the legal profession like back in the day? Like I said before, it was a very different profession back when I was in law college. National law schools were yet to make a mark and create the hiring heaven for law graduates that it has now. 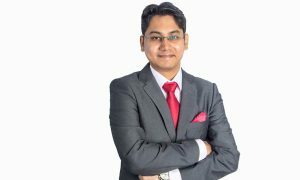 I had my heart set on becoming a Solicitor, and had even signed my articles with erstwhile Gagrat & Co., under the tutelage of Mr. P. A. Jani and started working towards it. A series of unexpected personal setbacks, however, compelled me to discontinue it. I do not regret the decision, however – it was an experience that enriched me while it lasted. Law practice in Bombay (as it then was), was steeped in traditions dating back to the nineteenth century – you slog in underpaid anonymity to become a Solicitor and earn the respect of your peers, or you slog it in unpaid anonymity as a Counsel till you find a sure footing in the Courts. What type of skills should a law student strive to develop while in a law school? Learn as much law as you can. But bear in mind that for every hour you put in law college, you will still need to put in an additional hundred once you get into the profession, simply into learning. I think reading is the most important skill for a law student which one should strive to develop while in law college. It makes the understanding of law easy and helps one in drafting too, both of which are immensely important for a lawyer. Do not listen to those hundreds of people saying litigation is the way to go for bright students; it isn’t necessarily so. Litigation is something that requires hard work, commitment, and a willingness to emulate the Counsels – slogging away in unpaid anonymity. A lawyer who wishes to litigate would need to develop a lot of resilience – against irate clients, obdurate opponents, and (more often than not) a well intentioned judge who just won’t get your point. It is a long term commitment – one that cannot be taken idly and one that cannot be given up so easily. What were the difficulties you faced in the early days of your practice? Finances, of course, are the biggest difficulty that any budding lawyer would face in the early days and my case was no different. Articled clerkship was especially notorious for the stipends (or lack thereof) that came with it. My experience, even otherwise, was not very different from what you would normally hear from any lawyer growing up in the nineties – finding work, finding a good senior to guide you, making a mark with (and at) the bar, and trying to keep your head afloat through all this. I come from an era where internet was a luxury and mobile phones were only for the opulent. Research meant book/commentary unlike today where one has plethora of options on the internet and the information is just a click away. Building and maintaining a client both require hard work and utmost care towards them. Beside work of precision, maintaining harmony between good work and good relation is quite vital. Thus, I think, its good work alongwith being updated on various laws and not number of years is which bring in good clientele. Besides, good recommendation also adds to one’s list of client. Could you tell us about the atmosphere in each of the places you have worked at? (Erstwhile) Gagrat & Co.–As one knows,to get a breakthrough in Gagrat was extremely difficult. For me, beginning my journey with such a reputed law firm was indeed special. Gagrat was an old school firm which gave me a very strong foundation with the help of supportive colleagues and superiors. Due to the old school style working of Gagrat, the court clerks also played a vital role in each matter. I still remember taking guidance from court clerks on the technical aspects for which they guided me swiftly. Hariani& Co.: Even though Hariani, was then, a mid-size law firm, it gave me tremendous exposure in variety of litigation. Besides free hand in various assignments, working under strict timelines was essential at Hariani. This gave me immense confidence in my field. Dua Associates. : It was during Dua that I started concentrating more on dispute resolution and arbitration. It was a leap towards next level in my career. 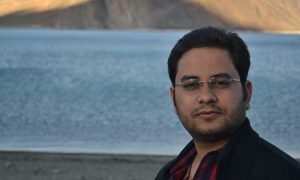 Khaitan & Co.: I worked in Khaitan & Co for more than six years. Thus, one can imagine how pleasing it was to be associated with Khaitan & Co for such a long time. I grew along with Khaitan, which gave me the key to handling various top notch clients. Rajani Associates: My present work place, Rajani Associates has a very homely environment with every one closely bonded to each other. I think this makes Rajani Associates a comfortable place to work, which, I must add, has a positive effect on the work. I have dedicated team members and each one of them are hard working. Different law firms have different style of working and so does the environment vary. Work environment plays a very vital role for ones success at any work place. I think one should analysis how compatible one would be with the environment he/she is about to enter. Nonetheless, monetary consideration and nature of work one wishes to pursue also requires to be kept in mind. Please tell us a bit about your work profile Rajani Associates? As I said, I head the dispute resolution practice of Rajani Associates and you can find me in courts/tribunal or in arbitration, more than in office. My profile also includes lot of advisory work where corporates are apprehending or proposing litigation. Beside, we even do a lot of opinion oriented work. How was your work at Khaitan and Co.? I joined Khaitan & Co as a senior associate of their dispute resolution practice and was soon promoted to rank of a principal associate. I was involved in various types of litigation at Khaitan& Co be it property, commercial, admiralty or company court matters. Since Khaitan was involved in variety of corporate transactions, it also had challenging company related matter. I was involved in quite a number of company scheme matters which were complex and time bound. How has your transition from litigation to alternate dispute resolution been? It could hardly be said to be a transition – it is but the same institution in just a different container. Litigation and ADR (alternate dispute resolution) have always been interpolated and connected with each other. Of course, in the past ten years there has been a shift from court to ADR, corporates or for the matter, even individuals, off lately, are getting inclined towards arbitration as a method for dispute resolution. One can see, each agreement containing an arbitration agreement which speaks volume of the transition. Though we doubtless enter ADR with a markedly different mindset – with a focus on brevity in proceedings – it can hardly be said that the shift was so considerable as to consider it a transition. It was more a matter of re-alignment – of thought, strategy, focus, and endgame. ADR is making its mark – especially with the Government making a big push for it now, with the amendments to the Arbitration and Conciliation Act, 1996. But let us be clear on this: any litigator who is worth his salt in court should handle the shift comfortably enough. Is mediation a better option than litigation in India? Mediation is definitely an option to explore before initiating any litigation. It cannot, however, be regarded as an alternative to litigation per se – certainly not in every case. The idea behind mediation is to attempt to find a middle ground between the parties, and save everyone the resource outlay needed for a long drawn litigation. One rarely finds this in commercial litigation – where strategies are often fine tuned for multiple eventualities arising during an ad-interim hearing. I must, however, add that the institutionalisation of mediation is definitely a step in the right direction – in terms of the statute. All that is left is for us to wait for the institution itself to catch up in terms of infrastructure, penetration and training the mediators. Even though, parties in India engage themselves in mediation process, thanks to the contract or the court intervention, personally speaking, it seldom ends on a positive note. I also believe for a mediation to become successful, parties have to be open-minded and should not remain adamant on their demand. Only then can the entire process of mediation succeed. What are your comments on the current state of Arbitration Law in India? I think with the amendments in the arbitration law, particularly the 2015 amendment to the Arbitration and Conciliation Act, 1996, it has come at par with the international arbitration laws. I have seen the shift from the 1940 act to the 1996 act and it is a whole new era for the Indian arbitration. Court interference, in an arbitration, has become less, while earlier courts used to, or if in can say, was required to intervene considering the structure of the prevailing extant laws. Whether the 2015 amendment applies to all the on-going proceeding (arbitral proceeding or proceeding related to arbitration) or only to arbitration proceeding initiated after October 23, 2015? This controversy is pending before the Apex Court and presently different High Courts have had divergent views. Execution of foreign awards are still halted for technical reasons. The schedule of fees prescribed for the arbitrator in the 2015 amendment is strictly not followed. What advice would you have for law students who wish to take up Arbitration as a career option? Arbitration and conventional litigation go hand in hand, so don’t assume you’re going to evade one by choosing the other. Attend as many internships while in law school/college – the experience matters a lot for yourself (and not necessarily to your recruiter, I’m sorry!). Read judgements – as many of them as you can. Master the art of reading judgements, because you’ll need to do it a lot, and fast, especially in your foundational years. If at all possible, learn patience, for you’ll need a lot. What are you recommendations for making alternate dispute resolution more popular and common in India? More institutionalised arbitrations, better infrastructures for the institutions, and a greater impetus from the Government is definitely the way to go. I think arbitration is already quite popular in India with certain caveats. One cannot ignore the role to be played by lawyers in advising their clients to opt for ADRs, but I believe it would certainly follow once a certain assurance can be had that costs, time schedules and issues won’t escalate. The 2015 Amendments are definitely a step in the right direction for that, but one now needs to see how the implementation occurs. As ironic as it may sound, the Courts will be key in safeguarding ADR laws! I also think mediation particularly needs a shot in the arm to become as popular as arbitration. I believe mediation process has great potential. However, as said earlier, the perception about mediation of individuals/corporates need to change in order for mediation to become a success. Certain international commentators have seen and argued that the host state should keep an eye on functioning of the judiciary. What are your views? Courts in India have held that the executive, the legislature and the judiciary are required to function independently without each other overstepping their limits. In fact, Judiciary even has the power to declare laws made by legislature as unconstitutional or ultra vires if they are in conflict with the fundamental rights of a citizen. I believe it is very important that Judiciary is left independent and the function whereof should not be interfered by the state. Is there any skill or secret you picked up over the years that you believe is critical to a lawyers success? Patience. I see youngsters itching for a promotion barely two years into a team – sometimes actively campaigning for it. It was unthinkable of, in my early days, to even ask our boss whether we’ll be paid for working in his chamber. A lawyer’s retainer is something that he commands, not demands and that will take its time arriving, one needs to be patient for that. What would be your parting message to all the law students? Don’t miss the wood for the trees in this profession; it is all about the people. Facts, figures, precedents, legal acumen, an eidetic memory – these will get you far, don’t get me wrong but, connect with the persons you meet along the way. Listen, empathise, be eager to learn, develop contacts and make your impression. That’ll take you much further than just the skills. Actually i was dicey about my law carrier but after reading this i feel motivated for future goals. I am in 4th year and in law field i am very much interested in Arbitration and this article added more stars towards my interest.